If you’ve been following along, you’ve seen the last two months have involved a pitch for a certain TV show, ongoing developments on Hair Ties For Guys™, sneak previews of headbands and hair serums, little guys with long hair, shipping crises, website updates and more. 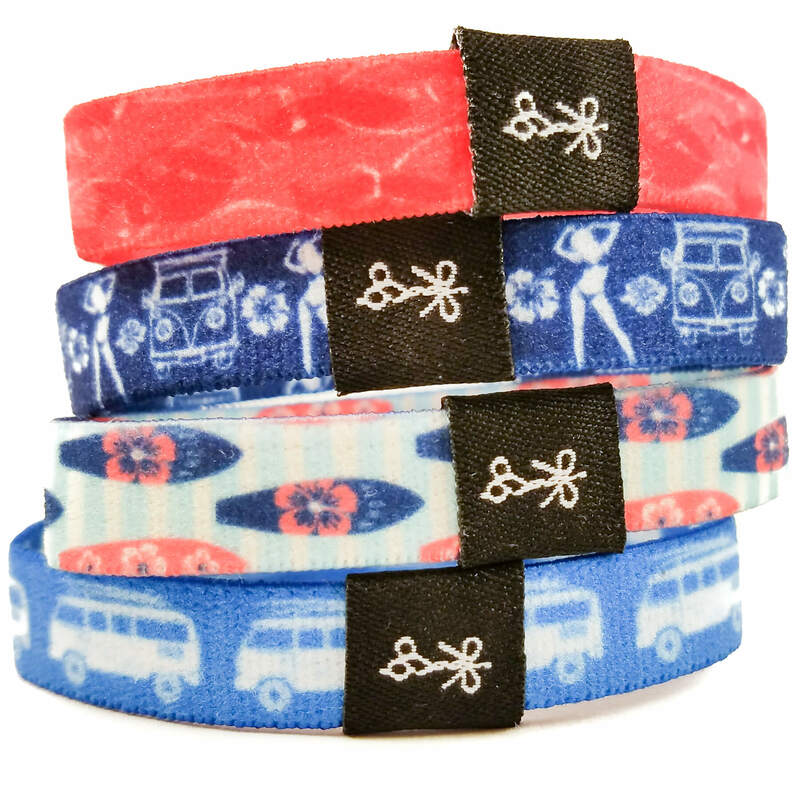 As we’ve been juggling these projects we’ve been working to get your favorite hair ties back on the shelves. After a time consuming yet important round of product enhancements, we are proud to announce the new and improved Hair Ties For Guys™ V2.1s are here, and they are available now. Watch the video for the full breakdown on the evolution of Hair Ties For Guys™. The road to V2.1 has been a long one, taking time and energy. 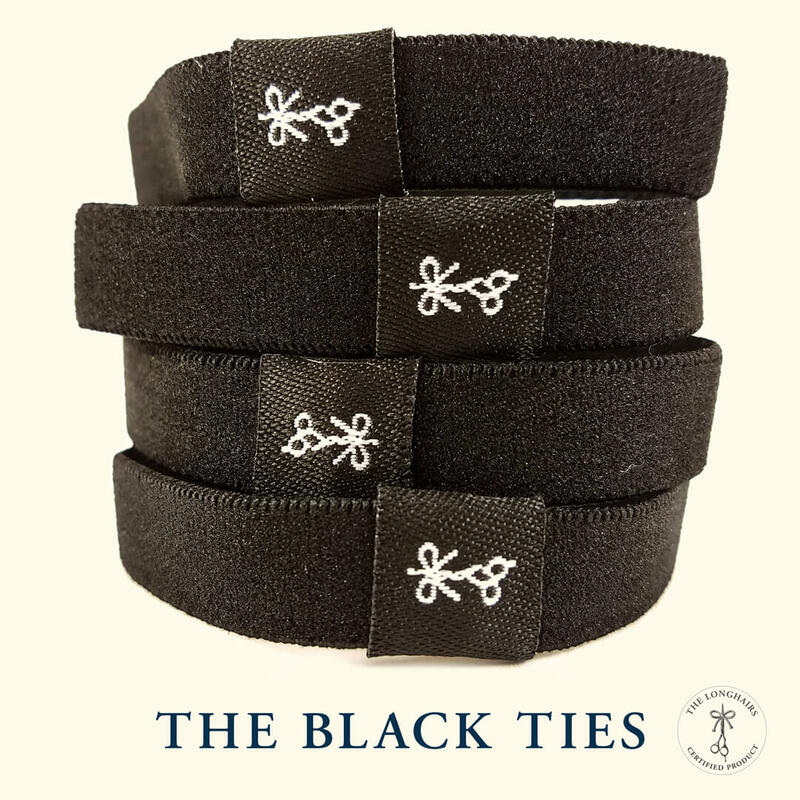 But to us it’s worth every ounce of effort so we can bring you not just a top quality product, but truly the finest men’s hair ties in the world. We’re proud to stand behind V2.1 and we know you’re going to love them. Please make an unscented version of your hair products. Some of us have allergies and sensitivities to certain fragrances. Also why not stitch the sleeves over the ties instead of using an adhesive? I found that the sleeves came off easily if they had been wet, maybe the water had something to do with breaking the adhesive substance down? Excellent point on the sensitivity to the fragrance. El Rubio can tell you all about that it got totally inflamed after the smell test. We will for sure have a unscented option. 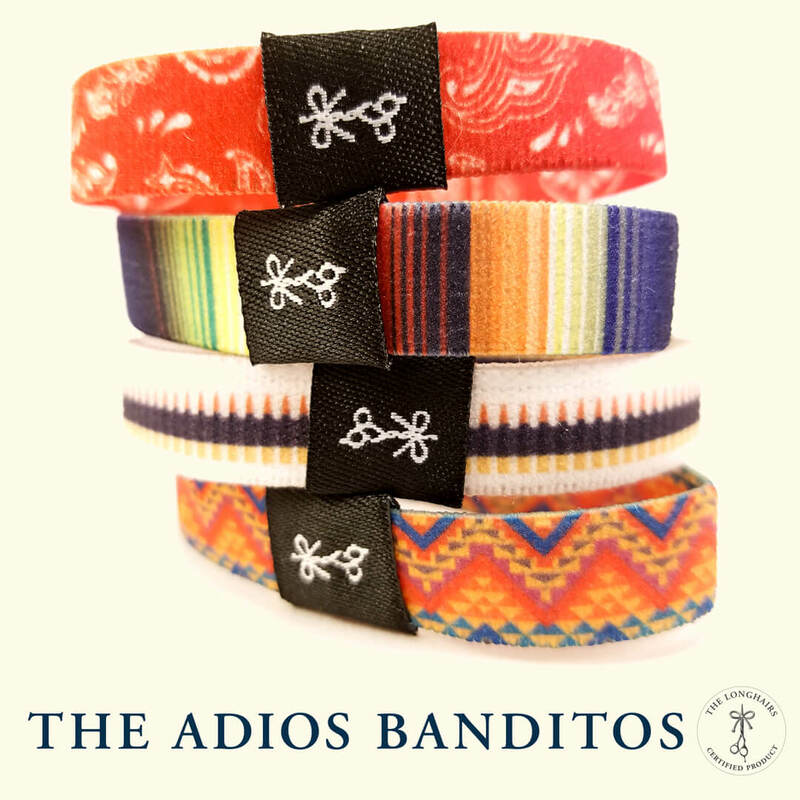 V2.1 hair ties email received – haven’t watched the video yet, immediately went to your website and ordered Old Glories and Adios Banditos 😂👍🏼 – ¡Muchos gracias! Hey guys- love your site and I did order some of your hair ties but found my hair is too thin for them. I’m an older guy who grew my hair and the kind that work for me are the small ties made by Scunci. Any plans to make smaller ones for us older hipsters? I’d buy them if you made them. Not a bad idea. We’ll throw that one up on the ideas list. So stoked for the V 2.1’s and that hair serum! So any hair-tie purchases are now going to be the 2.1’s? Any of the 7 collections above. If I buy a pair will it be the new 2.1? So we’re the “Las Flamas” upgraded to 2.1? Good question Ron, that’s a negative. Only those shown on this post have been upgraded to 2.1 (as of today, May 25). Remaining collections will be updated as we restock the rest of our inventory and release new collections. In the meantime, like we said there have been a minority of V2’s that had problems. I know personally b/c I’ve used 7-8 packs of them myself in the past six months and I only had a problem with a few individual hair ties. The rest have been solid. So, if you order a pack of Las Flamas, and if you have problems with them just let us know and we’ll replace them with another pack of your choice (we just ask that you send us a photo). Let us know if we can answer any more questions Mr. Mexico! I hope at some point in the near future, there will be the option to make your own set of four color/designs from all the existing sets available. I like at least one or two from most sets and wouldn’t buy any others except ‘The Black Ties’ (which I have purchased and love) because I wouldn’t wear the other ones in the set, I just wouldn’t wear those colors or designs. 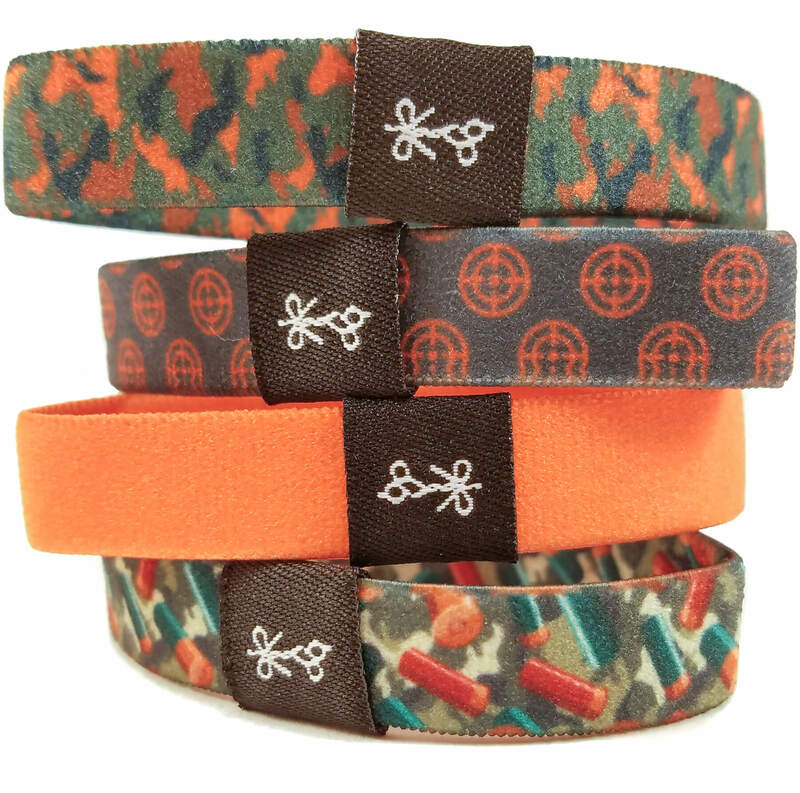 If I could make my own set of four, for example I would put the red checkered plaid, the solid blue, the gun target, and the lines of color hair tie from the adios banditos together! That would be really awesome. We’ll do it for you Henry. Hit us on the direct email line amigo. Some feedback after using 1 v2.1 hair tie about 3 weeks: the adhesive on the sleeve has completely given out and the sleeve is gone. The tie shows no signs of coming apart but the sleeve has fallen off. 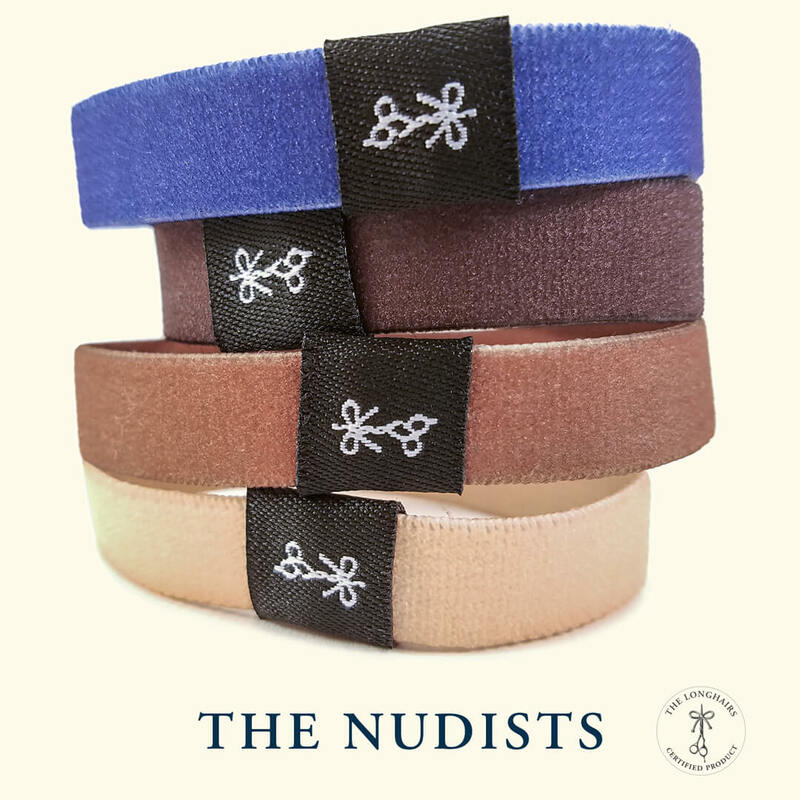 Other than that these really do look and feel like the luxury hair ties men have needed! 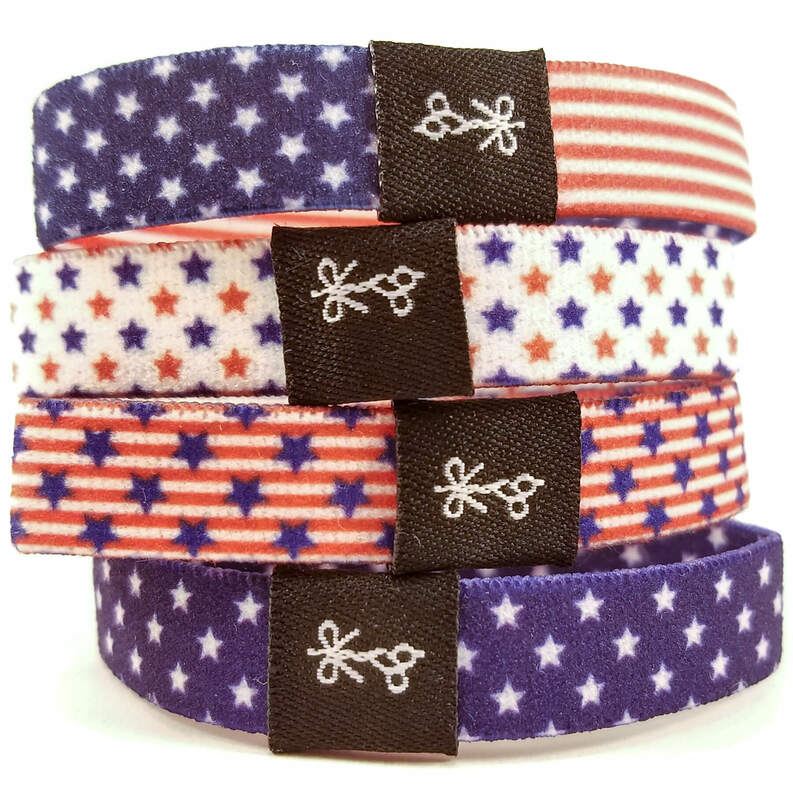 This was a v2.1 Old Glory tie. Roger that Joe. Thanks for the feedback man! 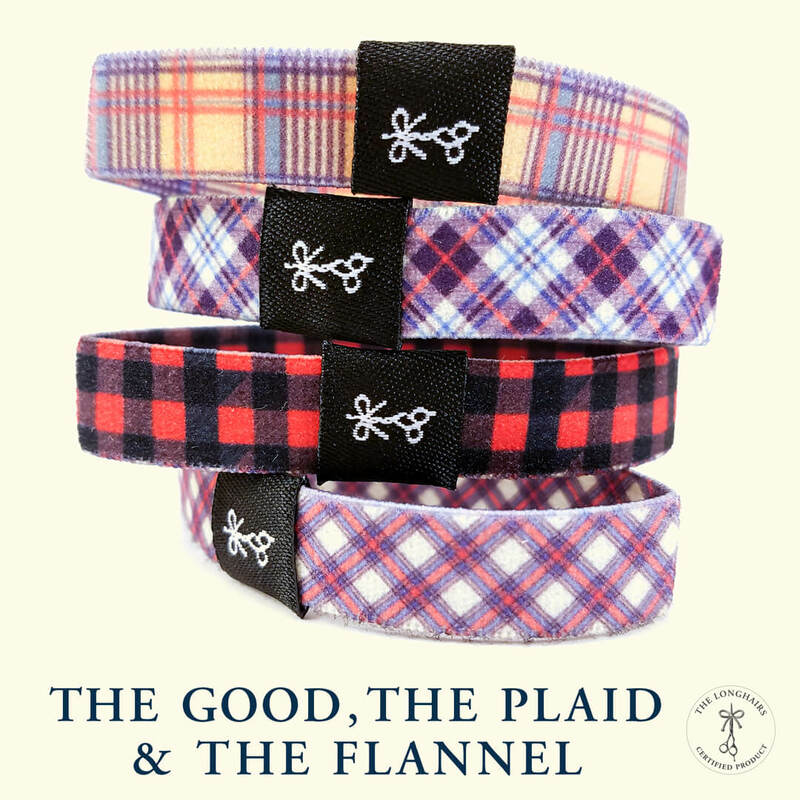 Have you only used 1 ties from the collection or do you jump around between all four? You should sell single Hair Ties For Guys as well. I am having a tough time choosing a collection because I want one or two ties from a couple different collections but I don’t want the whole collection.